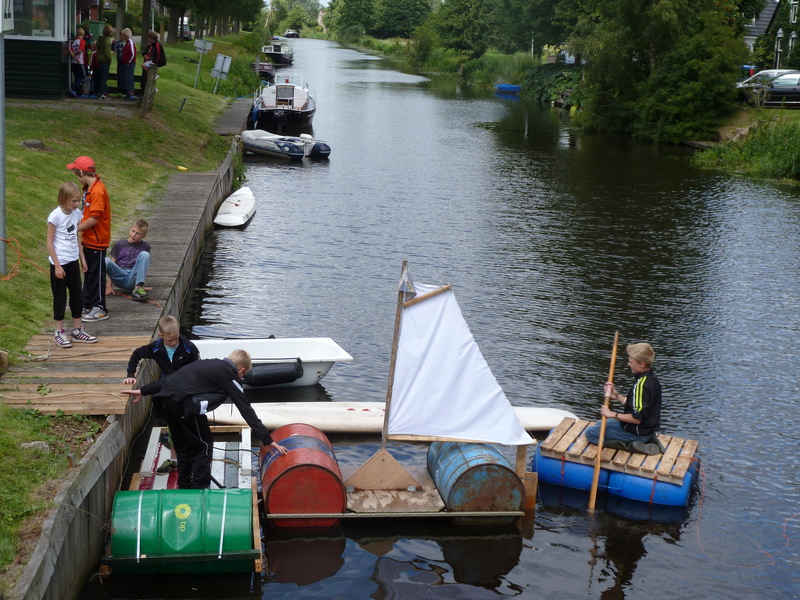 Northern Holland is comprised mostly of flat farmland, rustic villages, deciduous forests, and shallow canals. 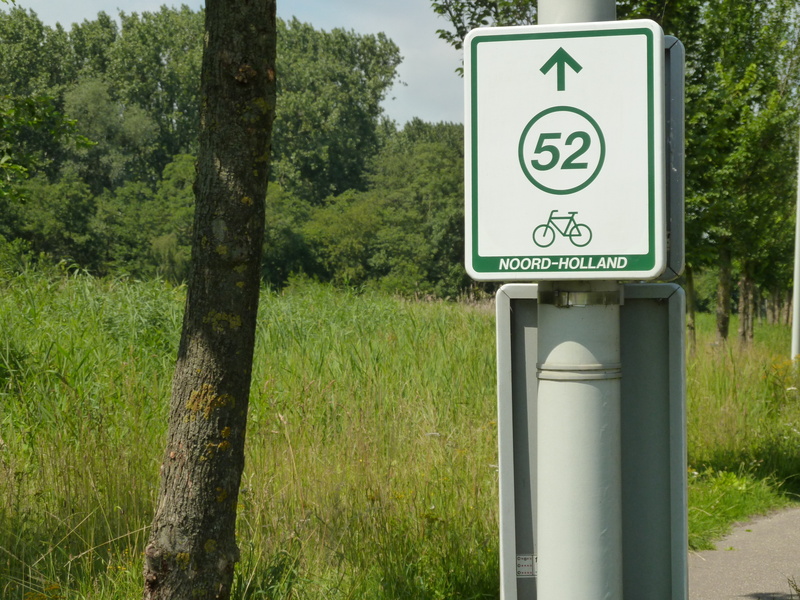 Holland’s cycle track network used for touring is called Knooppuntroutes—which directly translated means “node routes.” Every 3-4 km within the cycle track networks there is a large sign with a number that corresponds to a number on the cycle track maps. I figured out my routes by selecting a series of these numbers—or nodes—and then only had to look at my map periodically to remind myself of the sequence of numbers I should follow next. Node number 46 on my map. I could go for an hour or so just by remembering 4 or 5 different “node numbers” and following the signs. An example of the signs in between "nodes." 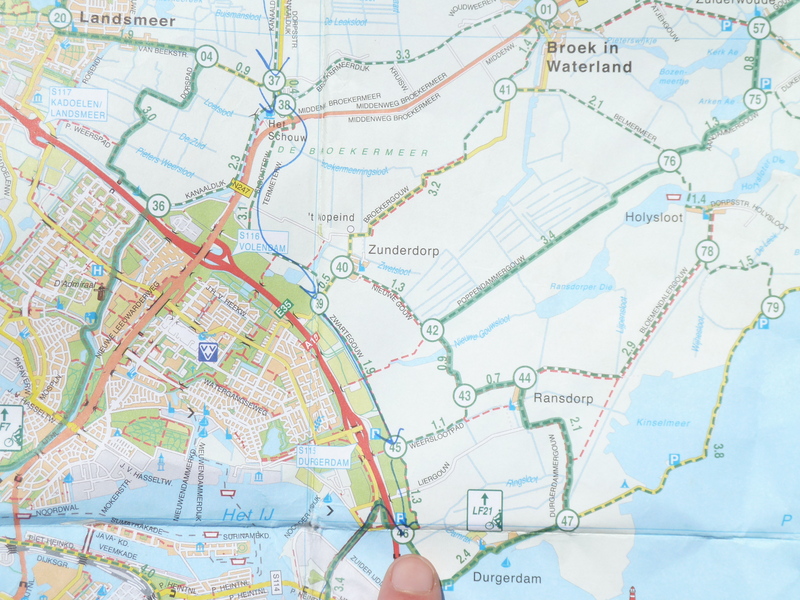 On Sunday it turned out that my biggest challenge wasn’t crossing Afsluitdijk —it was finding an open store or restaurant where I could buy food. I don’t carry much food with me because I go through plenty of towns where I enjoy stopping to buy sandwiches, pastries, chocolate, coffee and other “fuel.” I’d learned that in Denmark everything is closed on Sundays. In fact, I’ve now learned that many governments in the EU mandate that stores are closed on Sundays. But, on Saturday afternoon I wasn’t thinking about Sunday shopping laws. The American in me just assumed that some enterprising shopkeeper would gladly be open and ready to take my Euros in exchange for a few snacks. This was not the case. By 8:30 AM I’d already biked through two towns that were completely deserted with ‘closed’ signs abound. In theory, I really like this idea of actually taking Sunday off to rest and be with loved ones, but as my stomach started grumbling I began to pine for the convenience of 24/7 American retail practices. After going about 10 km more I made it to a third town that was slightly larger than the first two and found a hotel with a restaurant. The restaurant wasn’t open yet but the people working were really kind and made me breakfast, a lunch to take on the road, and—most importantly—a cup of coffee. Whew! I learned my lesson about preparing for Sunday. Afsluitdijk turned out to be pretty painless. 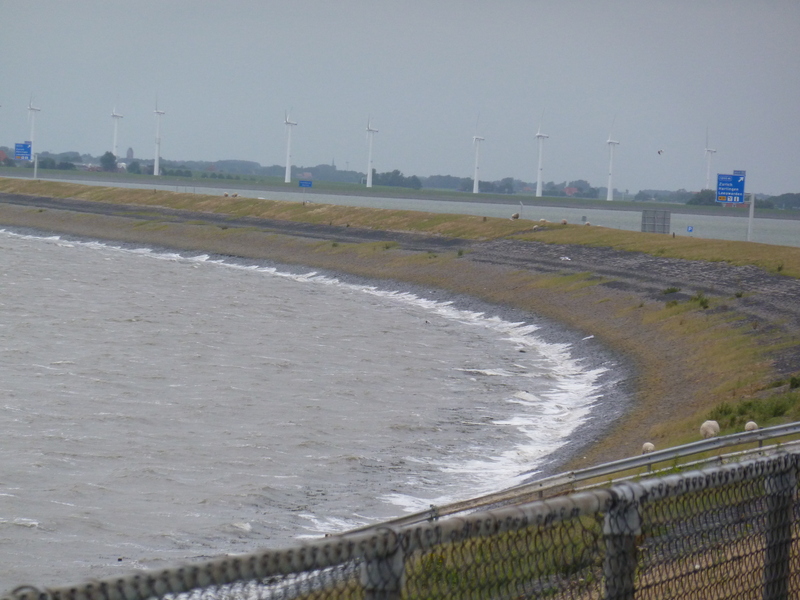 The strong ocean winds were hitting me directly for the 5 kms leading to the dam, but because of the angle of the dam I actually ended up having the northwest winds at my back for the majority of the crossing. I made it across in 1:40. L:ooking back at the well-placed wind turbines. 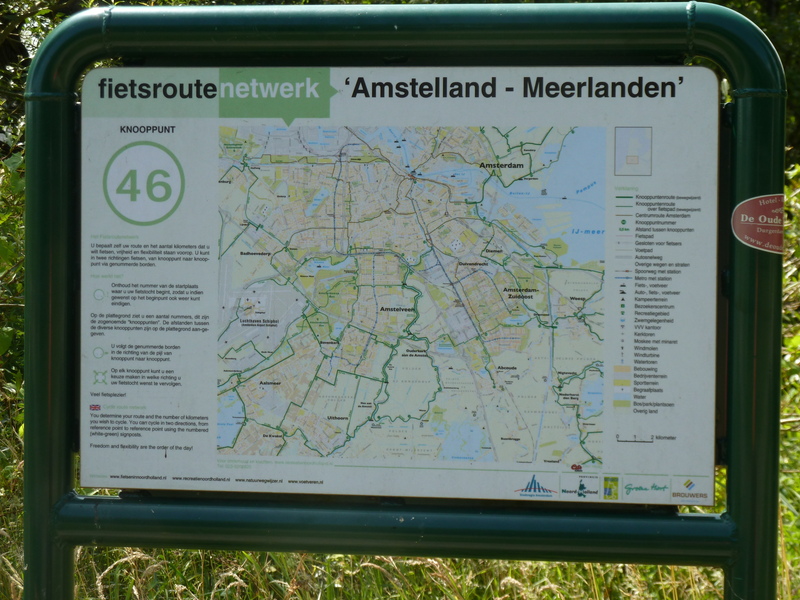 I biked for another hour after getting across Afsluitdijk and then enjoyed a sunny afternoon at a campsite along a canal. Resting after a long day. 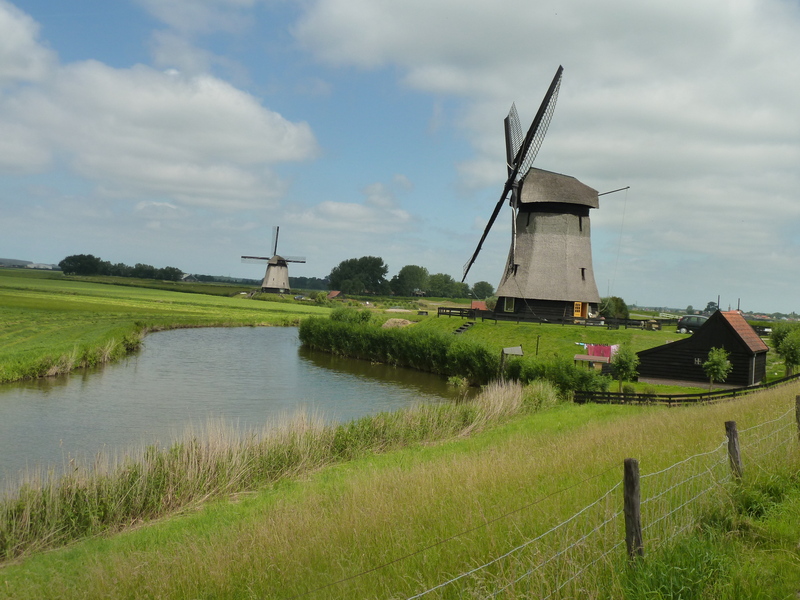 I got an early start on Monday morning and had a very scenic 70 km ride to Amsterdam. I haven’t seen much of Amsterdam yet–more updates soon!